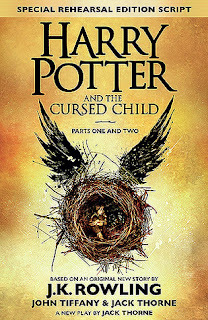 About the book: Based on an original new story by J.K. Rowling, Jack Thorne and John Tiffany, a new play by Jack Thorne, Harry Potter and the Cursed Child is the eighth story in the Harry Potter series and the first official Harry Potter story to be presented on stage. The play will receive its world premiere in London’s West End on July 30, 2016. My review: Quite honestly, I wasn’t sure if I even wanted to read this one. 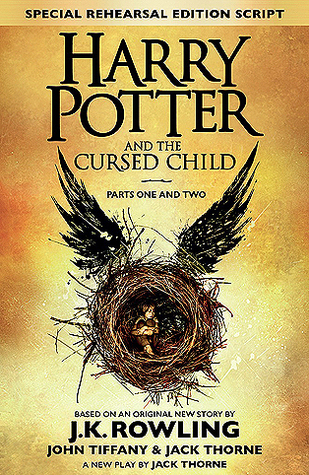 I wasn’t sure about the play format, I wasn’t sure that it would be as good not being written by J.K. Rowling. But I was quite amazed by how much I really enjoyed it. I didn’t want to put it down and read the whole thing in an afternoon and evening. I loved the way it just felt like it was Harry’s world. Harry has dreams about things that had happened in the original books, and I think that really helped to add to the effect of this being his world. I think that having a lot of the same characters helped as well. And Hogwarts and all of the magic was just right as well. I loved that Harry seemed like Harry, as well as Ron and Hermione and Ginny. The characters were really well done and true to the originals. The new characters were great too! Albus, Rose, and Malfoy’s son Scorpius. I loved all of them, and I thought they fit right into Harry’s world. The play format was a bit odd, I will admit. But you get used to it and soon it’s just a story. A really great fantastical story, almost as good as the originals!